Often, while reading a novel or a book of poems, I imagine the writer or the poet, writing those words, those sentences on an old parchment of paper. The handwriting is always cursive, one letter holding the hand of another; the house is usually made of wood, there is an unmade bed, a rickety table and a chair. My poet is in his or her morning clothes, unwashed, unkempt, s/he writes, dipping his pen in the ink bottle placed with a deliberate carelessness on the table. As sunlight slowly falls on the paper, I see a poem, usually the one I am reading, being created in front of my eyes. I read the poem, while it is still being written. My imagination, as the reader might see, is full of clichés. It is limited. And my poet suffers from my limitations. He’s neither poor, nor rich, he doesn’t have a political opinion, he sees the world through the window I make him sit in front of, he writes what I want him to, when I want him to. Trapped in my imagination, my poet is my prisoner. He doesn’t know the art of walking. His polio stricken legs cannot support his upper frame. And sitting within the four walls of my sub-conscience, he has lost the will to walk. He is, as Adil Jussawalla would say, the wrong breed of dog. 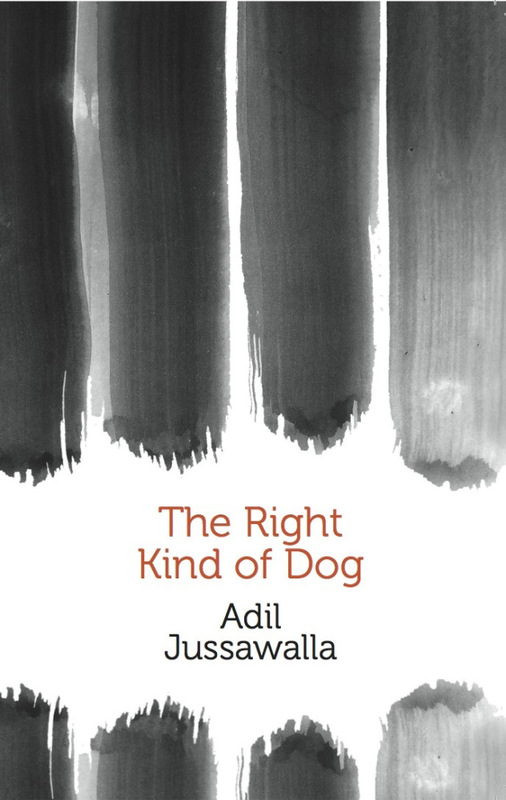 Jussawalla’s new poetry collection, The Right Kind of Dog, has been sitting on my writing table for almost a month. I read from it, now and then. But I don’t understand much. I haven’t tried deriving meaning from it, yet. It could be my own inability, my lack of understanding, that stops me from putting to words, what a poem could mean, or perhaps I am too scared, scared of being mocked, scared of arriving at a wrong conclusion. Conclusion is a big word, it promises of containing an abridged version of every book that has ever been written, every poem that has been created. Yet how can it contain something so indefinite, something that keeps metamorphosing into something new every time it is touched? Are we supposed to conclude a poem, explain it in a paragraph or two; put an end to its vastness; make up our mind about something that is so infinite, so inconclusive and then what (?) forget about it? It seems immoral, the urge to quantify everything: this need to know, this habit of defining parameters and setting boundaries. So I stopped myself from solving those riddles like they are some mathematical equations. What I did, instead, was that I absorbed them, absorbed those words, I let them sink in; and I waited for them to grow on me. Jussawalla, in his letter to the reader, claims that he wrote the poems for children of eight and above. He assumes that I, the reader, am no more than 15. He assures me ─ his young reader ─ that no matter how puzzling his poems may seem at first, no matter how many adults may tell me that they are beyond my age, if I give these poems a chance, with each step, with every reading, I will come closer to their meaning. He asks me to take the first step, and arm myself with his Shoes, shoes that will help me “brave the waves when first I” walk. the deformed bone or the doctor I want to avoid. The child with the deformed bones, the child who cannot walk, whose ‘shady’ joints cannot support him, without those shoes, who is he, if not an outcast? His new pairs take to journeys that have been travelled by many before, for many years, journeys that will always take you to a path of unbearable pain, physical and otherwise, and loneliness. And who is this well-fed doctor the child, who suffers from rickets, wishes to avoid? Perhaps he is a symptom of a society that wishes for perfection ─perfect bodies, perfect limbs, perfect people and perfect lives. Those well-fed, well-cared for, pure breed dogs, fed with pedigree and pasteurised milk, those who live within the confines of a warm, protected home, they may look at the street dogs with amazement, but will they ever join the herd? For those living on the fringes, those who have no one to fend for them, in this dog-eat-dog world, what do these outcasts have if not for their shoes? Jussawalla, in his five part series called ‘When I First Walked‘ talks about the desolation, and the pain of not being identified, the pain of not being able to stand of one’s own two feet. He, in his disturbingly graphic portrayal of the other, turns the reflector on his subject. Can one learn to walk with feet that bend in a ‘V’ every time they touch the ground? With limbs that are too weak to survive a fall, what if one gets crushed under those cars that crowd the streets. The world, as we see in these poems, is seen through the eye of a child who is not the son of a king, a child who is not Arjuna, but Ekalavya. He must cut his thumb, he must not become a warrior, he must not be one of them; he must make a path of his own, a path that doesn’t cross theirs. Their road, the path that they tread, is too chaotic to make way for a beginner, it is a road with no sidewalks; a road swamped with noise from their engines and horns, the air is filled with the smoke that makes one choke. How quickly they have multiplied, these cars, like a cancerous growth spreading on the road, they have poisoned its blood. 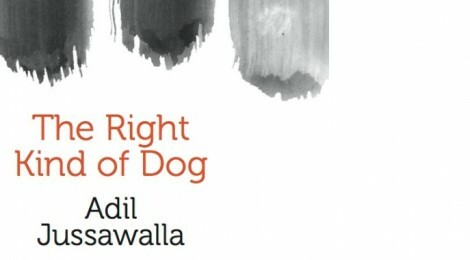 This outcast that the poet writes about, this man shunned by society, the street dog who gets pelted with stones, wherever he goes, who is he, how does Jussawalla know him so well? Is it possible that the poet is talking about himself, as a child, or just as someone who could never ‘fit-in’? Maybe, he is the anomaly, he writes about. Why else will he make a paper crutch? This crutch made of paper, elastic bands, staples and a straw, what is it, if not a book or a manuscript? This crutch, perhaps, is this collection that I hold in my hand? There is an inescapable sense of loneliness in these poems, loneliness that only an outcast can experience, a loneliness of a child, in a grown-up world. These are poems that keep you company at night, in that agonising alone-time, these words that you had absorbed, they surface, they bring along their loneliness and they share it with you. Past midnight, as I sit alone, hearing the inconsistent rain outside, and the soft breathing noises of people inside, I have nothing but Jussawalla’s paper crutch and the loneliness it brings along, for company. Turning from one page to another, of this meticulously designed collection, you find traces of those who had visited it before. These poems, they have been touched before, fingerprints of those visitors crowd the pages that contain them. They are curiously connected to one another. From Aurangzeb’s daughter Zebunissa to the two European children, from the man who is trying to escape from the feeling of loss, just another dog, to the Bhelpuriwala, everyone is tied in a multi-rope knot, they go on different paths, but at the end of it, they are all lonely; they fear the sense of displacement that has been thrust upon them. These poems are like the pair of new shoes who have taken to old journeys. Who are these travellers, I wonder, who have left their marks everywhere? Could they be Sally and her brother, Jack, who can’t walk; the two from British India? Or could it be the scared child, asking for his father, asking his mother to hide him from the English soldiers, at a time when the country is minutes away from independence? Is it possible that Sally was the child who slapped the lone, and silent, dragonfly that now is found on “this hill in the city?” the one who now lies drying between two rocks like a lover’s kiss? I’ll never know. The dragonfly, that silently lay between the two rocks, in its final resting place; those rocks will always bear the marks of its decay, the epitaph of a dead dragonfly. Those two British children, Sally and Jack, in a changing India, a country in which they were born, a country which they called home, a country which is about to abandon them. We’ll be home soon, little brother. India, they say, will be free. and what about you and me? The fear of Nehru, the fear of being torn away and sent to a place that they are now supposed to call home, but, is not home. These scared European children, their fear of being displaced, their fear of Nehru, the antagonist of their side of the story, and the others, eager to throw them out, render them homeless. Where is their home, that place they will be leaving for, or the place they are being made to leave? Can a free India be home to these European children? And then there is another scared child, an Indian this time, for he too has a side of the story to tell. Scared of the English soldiers and his school masters brown or white, this is a song, a song about a child’s imagination gone wild. A child scared of his doctor, who will, if paid a visit, pick dwarfs out of his system. Stop hugging and kissing me. He can’t be at war. He always has one with you. Three little children, white and brown, living in the same, pre-independence India, talking about their fears, fears of the other and of the one. Fearing what they have seen and what remains to be. How are these children different from one another? Is there anything that separates them, other than their skin colour? These children brown and white, they both fear the changing face of their country, the one they have never seen. Stuck in a state of transition, they fear the loss of identity, they fear the loss of their association with the place they grew up in; they fear the loss of their home, as they known it. What does it matter to these children if the country has won the struggle for freedom? Their struggles are different, their fears are different, always have been. And now, Nehru and the English soldiers, they are taking them away from the comforts of their old fears, the ones they knew so well. When the sun rises in a free India, these children will have nothing left to call their own. They have just this night, and their fears to hold on to. The children that Jussawalla writes about, and the children he hopes to address, they aren’t unfamiliar with sadness; they are surrounded by their fears that exceed beyond the monsters beneath their beds. These are the children we know, they play in front of our houses, that noisy lot, at least one of them has broken our window; they are our children after all. Then how is it that we don’t recognise them when we see them limping through the pages of this book? These lonely children, how powerless they seem, so different from the joyous little urchins who run around our house. Powerless and surrounded by a sense of hopelessness. And yet, unlike us— “adults”— they know how to talk about their hurt; they know how to fight it. Jussawalla, through this collection, has put these children in the spotlight; it is their time to perform. Standing on the centre-stage, they are putting up a brilliant show. They are howling in pain, there is a lot of chaos. But if you listen carefully, you can hear all of them, clearly. Perhaps, that is all they want? Their fears be addressed, and their voices be heard?